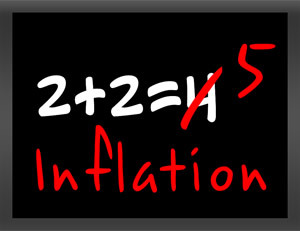 Historically, hyperinflation is often associated with wars, their aftermath, sociopolitical upheavals, or other crises that make it difficult for the government to tax and govern the population. But those are just the symptoms. Hyperinflation is a man-made disaster arising out of the collapse of the currency, and preparing for it is no different than preparing for a hurricane or tsunami. You may get a little bit of a warning, but you need to act quickly. This article covers the financial preparations that, if made before the disaster strikes, will provide you with additional layers of protection. Leading up to the adjustments you need to make in your investment portfolio, there are a number of personal finance and resource allocation measures that should be considered as a way to “hunker down” during the worst part of the storm. Some of these measures are just as appropriate for preparing for any natural disaster, so they will serve you well in any event. A hyper-inflationary environment will be chaotic at best and disastrous at worst. You can expect the walls of society and even the rule of law to come crumbling down. The good news is that, historically, hyper-inflationary episodes only last a few years and as society rebuilds and a new currency is introduced, a new, but more stable normal will emerge. The better prepared you are before the onset of hyperinflation, the better off you will be during and following the calamity. Simplify your finances: Coming off of the financial crisis and Great Recession, many people have already made severe adjustments to their lifestyle and their finances. In your preparation for hyperinflation, you may want to go more extreme by cutting your expenses to the bone by reducing your debt and lessening your reliance on utilities and fuel. Your objective is to use your excess cash flow to invest in hyper-inflationary hedges, such as gold and foreign currencies. Eliminate adjustable rate debt: During hyperinflation, interest rates will skyrocket, and along with it the rates on any variable loans or credit cards. Get rid of it now. Increase your self-sufficiency: You can expect severe food and energy shortages during hyperinflation, so now is the time to increase your self-sufficiency. Stock pile food, water, fuel, medical, and home supplies. Reduce your reliance on electricity by investing in solar powered appliances, manual washers, solar lighting and solar cookers. Fortify your defenses: With a house full of food and supplies, you will become a target for hungry crowds, maybe even your neighbors. If you plan on staying in place, you will need to batten down the hatches and arm yourselves. Map out an investment strategy now: By the time the hyper-inflationary storm can be seen on the horizon, it may be too late to make some of the critical investment decisions needed to protect your wealth. Now is the time to map out your investment strategy that should include specific hedges against hyperinflation, such as gold and silver accumulation, investments in agriculture such as farmland or agricultural companies, and reduce your exposure to US dollar denominated assets. The good news is that there isn’t any reason why these investments shouldn’t perform well leading up to a hyper-inflationary episode. In normal, growing economies, most people invest for asset growth or income. As the economy ebbs and flows, investors will adjust their portfolios as necessary to counter the changing risks. For instance, with the recent advance of inflation, the adjustments have included increasing weightings in hard assets and reducing them in bonds, but the investment strategy still remains linked to a long-term objective. Based on previous episodes of hyperinflation, investors may have no choice but to switch their primary objective altogether to that of wealth preservation consisting of less conventional strategies and methods. Expectations for asset growth or investment income may be unrealistic in the face of a massive and volatile shift in asset values; at least until the hyperinflation cycle has run its course. 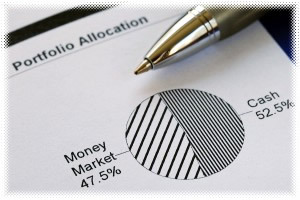 Diversification has always been the primary way to mitigate risk over a long-term time horizon. Achieving a proper balance of different asset classes prevents the risks associated with any one class from adversely impacting the overall portfolio. Normally, various asset classes perform differently than one another during changes in the business cycle, so it is important to choose a variety of asset classes that don’t correlate with one another. For instance, when stocks increase in price, bonds tend to decrease. But because it’s nearly impossible to predict price movements, it is always advisable to have your money invested in both. Although gold can be expected to perform well in inflationary cycles, it could become very volatile in a hyper-inflationary spiral, especially in the heat of speculation which will drive price movements for awhile. By diversifying into other commodities and foreign currencies, a portfolio could achieve a greater level of stability.